The Samsung Digital City complex, in the South Korean city of Suwon, is home to the headquarters of Samsung Electronics. (Photo by Koji Uema). Kyung-Pil Kim is a lecturer in the Department of Sociology at Korea University. In April 2014, more than three hundred passengers were killed when the ferry they were on sank in South Korea’s West Sea. Grieving families began a hunger strike in response, demanding the creation of a law allowing a special investigation of the disaster, claiming that the government was not revealing the truth. A news report in July 2014, which shocked Koreans, showed members of multiple organizations, as well as those in an online community, mocking those participating in the hunger strike and even eating chickens and pizza in front of them. Nearly four years later, in April 2018, an investigative journalism television program exposed the Federation of Korean Industries (FKI), an association of Korean conglomerates, for funding those who were eating in front of the hunger strikers. The program also made it widely known that the FKI has been funding right-wing organizations on a large scale since 1997. In the Republic of Korea, conglomerates are called chaebols.1 A chaebol is a diversified and large-scale conglomerate form of capital governed dynastically by an owner and the owner’s family. Chaebols have grown quickly in Korea, dominating the Korean market and substantially contributing to the Korean economy since their structuring in the 1970s. Some chaebol affiliates grew into leading corporations in the global market within a mere thirty to forty years. 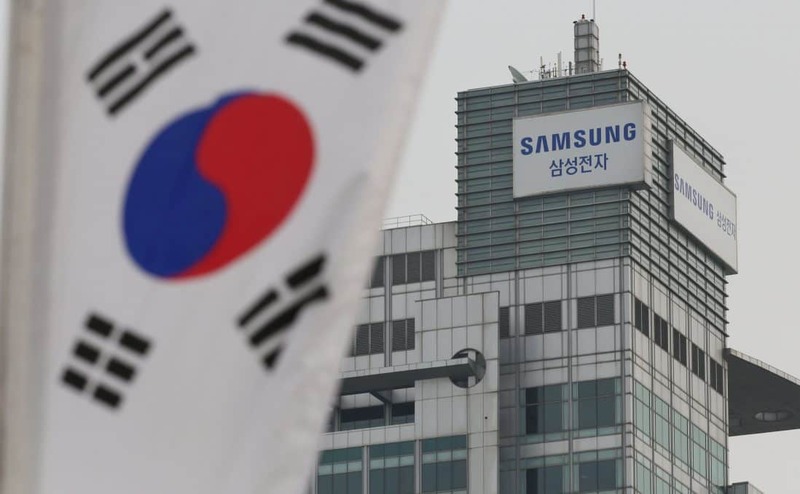 On the 2018 Fortune Global 500 list, which ranks the world’s largest companies, Samsung Electronics and Hyundai Motors ranked twelfth and seventy-eighth, respectively, and thirteen other affiliates were also on the list. Hence, some chaebols have grown into global economic powers. However, the fast growth of the chaebols in Korea has also been associated with some crises. As with any capital accumulation, the chaebols’ economic expansion has been characterized by inherent problems. In trying to manage such problems and associated crises, chaebols have changed the ways in which they accumulate capital, with the overarching goals of successfully competing among capitalist firms and continuing to make profits. In this sense, the chaebols’ growth can also be considered a history of crisis and crisis management. Interestingly, this has meant much more than changing or reshaping the way the chaebols procure the elements required for business, including capital, raw materials, physical structures and equipment, labor power, and distribution and marketing mechanisms. More fundamental issues of hegemony over civil society have arisen. The crisis of the chaebols in the 1980s and ’90s encompassed a “crisis of authority,” as suggested by Antonio Gramsci, as well as an economic crisis: the chaebols discovered that they had “lost [their basis in] consensus…the great masses have become detached from their traditional ideologies.”2 The chaebols therefore had to implement a hegemonic strategy in civil society to reestablish their authority and legitimacy, while managing their economic crisis at the same time. Their strategy has been to construct a consensual basis for their dominance amongst the mass population, utilizing the leverage offered by their economic power, while also instilling the belief that the interests of the chaebols are everyone’s interests. When did chaebols start employing this strategy in response to the crisis? What has it entailed and how has it changed over time? I intend to provide answers to these questions by focusing on the FKI, the only capitalist association in Korea that represents both the chaebols and civilian organizations. Since its foundation in 1961, the FKI has had considerable influence on Korean society on behalf of the chaebols. A capitalist for whom profit is the most important goal has to have the elements required for capital accumulation, located within specific spatiotemporal conditions. While commercial and financial capital accumulate outside the production process, industrial capital, the representative form of capital, generates profit through production, distribution, and sales, leading to the accumulation of capital. However, any problem in this procurement or the value flow may threaten profit making. Moreover, a problem in the production and circulation of capital in a particular conjuncture may develop into a full-scale accumulation crisis. A crisis in accumulation at the level of the corporation means that the existing capital-accumulation system has exposed a problem, but there is no immediate way to solve it. “The crisis consists precisely in the fact that the old is dying and the new cannot be born.”3 This is likely to accompany a crisis of authority, which Gramsci defined as “the great masses…becom[ing] detached from their traditional ideologies” as “the ruling class has lost its consensus” and is “exercising coercive force alone.”4 This also applies to the analysis of a company. A crisis of authority for a corporation can be specified as a situation in which the company has lost its consensus and is reduced to economic power only, losing its ideological hold on the masses. The chaebols are more likely to face crises of authority than other corporate entities due to their unique characteristics. First, the chaebols are directly managed by owners. In typical corporate governance, ownership and management are separate. However, this is not the case for chaebols. Moreover, chaebols mobilize their resources in the direct interests of their executives and control them through bodies such as the secretariat. Second, until the 1980s, chaebols relied on authoritarian regimes and foreign capital to obtain elements of capital accumulation and carry out production and distribution. Third, chaebols as conglomerates are diversified corporate entities, drawing on government resources and taking over the domestic market. As a result, they control the Korean economy with tens of major affiliates. Since the chaebols have relied on the government for their growth, mobilizing resources for owners’ interests and control, and monopolizing the domestic market through diversification, it is relatively easy for people to identify the problems caused by the chaebols and to raise questions about their legitimacy. Civil society is a critical terrain in which corporations seek to implement their hegemonic strategy. While civil society is a contentious concept without a single definition, I will define it as a realm of autonomous association that exists, in Hegelian terms, somewhere between the state and individuals/families.5 Civil society is considered to be largely composed of interest groups, as well as activist and nongovernmental programs and organizations. I analyze civil society separately for three groups: (1) activist and nongovernmental organizations (NGOs) and public interest groups, (2) the media and publishing sector, including newspapers and broadcasting companies, and (3) the academic and educational community. Ultimately, the chaebols’ hegemonic strategies are aimed at constructing consensus in civil society that corporate interest is a universal benefit. However, this hegemonic strategy necessarily evolves along with the development of capital accumulation and crisis management. In the 1950s, large Korean corporations made money as the government privatized raw materials and facilities through ties with ruling elites. The corporations monopolized the raw materials required for flour, sugar, and cotton industries, and made profits by processing them. They owned financial institutions with governmental license. However, in 1961, the situation changed with the advent of the military. The regime set development and economic growth as its goals and ordered corporations to invest their capabilities in the industrial sector rather than the financial and commercial sectors. But corporations found the costs of procuring resources needed for industrial production, including obtaining needed global inputs, constructing large factories, and building effective distribution networks, too prohibitive. Therefore, in addition to building networks with Japanese and other foreign capitalist interests, the military regime was the means of procurement of these resources—sometimes based on corporations’ performance and plans, and sometimes based on their direct relationship with the regime. This compelled corporations to keep up with the regime’s development polices and maintain good relations with it. In the 1960s and 1970s, the large corporations grew quickly. Not only was there a global economic boom, but the United States provided economic support and made its market available to Korea in an effort to win the Cold War. In addition, Korean companies, with their lower wage costs, were sometimes handed over industries from Japanese companies when those industries were no longer considered profitable or had negative effects. That is, one of Japanese companies’ profit-making strategies was to provide Korean companies with technologies and capital goods necessary for the production, export, and sale of products to the United States and other western markets.6 In the development process, large corporations gradually began to take on the current form of chaebols, resembling in some ways the Japanese keiretsu. In the 1960s, starting with Samsung, corporations began building a new form of organization, with a large bureaucracy and a secretariat at the top. Moreover, they entered the industries that the regime targeted, emerging as conglomerates with diversified holdings in both related and unrelated areas, thereby dominating the entire domestic market. Consequently, the number of affiliates of the top thirty Korean corporations reached 126 in 1970 and soared to 429 in 1979. By the end of the 1970s, corporations were clearly very similar to the chaebols of today. In 1979, following a recession resulting from the oil crisis, a global downturn of capitalism, and excessive investment in the heavy chemical industry, the chaebols managed to recover in only a few years due to fast-improving conditions, such as a moderation of oil prices and more favorable exchange rates. In particular, the Plaza Accord by the Group of 5 countries—France, Germany, the United States, the United Kingdom, and Japan—to depreciate the U.S. dollar against the Japanese yen and German Deutsche Mark by manipulating exchange rates was implemented in 1985. Under these circumstances, the Korean chaebols were able to increase their international price competitiveness up through the 1980s. However, with progress in democratization through social movements in 1987, the situation began to change significantly. With the institution of the direct presidential election system as a result of the democracy movement of 1987, the military regime could no longer control society through the previous authoritarian approaches. As soon as the regime’s control weakened, chaebols faced unprecedented resistance from workers. Previously, chaebols were able to manage labor forces through alliances with the government. However, when the alliances between the chaebols and the government deteriorated, labor strikes took place. Workers could no longer tolerate the chaebols’ military-style control, high-intensity labor, low wages, and poor working conditions. Since the chaebols controlled labor through direct and extremely harsh repression, workers had to employ equally militant strategies. They demanded the right to assembly, democratic labor unions, wage increases, and general labor rights. There were over three thousand labor struggles between July and September 1987, and production in most large businesses came to a standstill. In response to these changes, the chaebols went into crisis management and began to shift their accumulation strategy. Facing labor resistance and heightened competition due to changes in global and East Asian orders, the chaebols attempted to make profits through new approaches. They made intensive investments at the global level. They also employed flexible strategies that crossed boundaries between industrial, commercial, and financial sectors. Toward labor, the chaebols struck back in full force. Instead of negotiating with workers, the chaebols tried to decide wages in ways that ensured only their own interests. A system of meritocracy was added to the existing seniority wage system. The chaebols sought to control labor by introducing a Japanese-style production method—mechanization and automation—and pursued numerical control and flexible employment. Starting in 1988, the new administration also helped chaebols by intervening in their labor relationships, promoting goals of public safety and law and order. People’s perceptions of the chaebols were very negative even before the advent of the democracy movement. According to the 1983 FKI survey of five thousand respondents nationwide, 75.0 percent of all respondents thought that Korean companies’ growth was due to government support rather than their own capacities, and only 12.3 percent of all respondents disagreed with the statement that Korean companies made profit through fraudulent means. With democratization, such discontent could potentially be incorporated into the constitution and political parties. At the time, people considered the chaebols and military dictatorship as a package and voiced the view that both economic and political democratization were needed. Political parties translated such aspirations of the people into institutional form by adding the so-called economic democratization clause on income inequality and economic control to the 1987 constitution. The new administration, with the president elected in 1988, also instituted policies related to transparency in the corporate governance and control over the economic concentration of chaebols while advancing liberalization. In order to break through the drastically reduced legitimacy of capital accumulation in civil society, the chaebols had to implement a hegemonic strategy to manage their crisis of authority. In 1981, the FKI acquired a financial newspaper company to disseminate their voice. The FKI also held a number of events with academic and media leaders, and published a variety of public-relations materials for companies. However, it was in 1987 that the FKI set up programs and dedicated organizations to their new hegemonic strategy. The FKI began to allocate a large budget toward creating friendly public opinion and supported various volunteer, cultural, and art activities to appeal to people. The FKI was also active in directly disseminating their ideas. Attributing people’s negative sentiments toward the chaebols to inaccurate understandings of the chaebols and economy, the FKI published public relations materials, including over twenty thousand copies of a book that compiled media reports skewed toward the chaebols. At the time, the chaebols emphasized their legitimacy using the idea of a free-market economy, a term used in South Korea in contrast to North Korea’s planned economy. The phrase was not exactly applicable, considering that the chaebols were not the product of a free-market economy and they consistently opposed the government’s liberalization policy—that is, the liberalization of exchange and interest rates, the opening of the capital market, and elimination of government subsidies. To get around these obvious contradictions, they sought to frame the cold war with North Korea as the source of their legitimacy. The FKI even held the Free Market Economy Forum until 1991. In addition, they created the Free Economy Publishing Culture Award in 1989, claiming that the publishing market was filled with books that criticized the Korean economy. The award was part of their project to select books that advocated for a free-market economy and distribute them to libraries and colleges throughout Korea. In the crisis-management process, the chaebols extensively implemented the strategy of shifting public perception, with the goal of creating a general consensus that their interests are everyone’s interests. Specifically, the FKI created KISEA as an organization dedicated to the task of implementing its strategy of cultural hegemony in the various areas of civil society. Once their hegemonic strategy was implemented systematically, it remained an ongoing effort after the crisis with the support of budget lines and organizational structures. However, the chaebols soon faced another large crisis. In 1997, the Asian Financial Crisis, in Korea often called the International Monetary Fund (IMF) Crisis, broke out. The chaebols and the Korean economy faced a crisis in 1997. The globalization of finance led by the United States since the 1980s brought instability to the world economy. The Reverse Plaza Accord of 1995 marked a watershed in Korean history. As the United States allowed devaluation of the yen at Japan’s request, the chaebols rapidly lost market competitiveness in the export market. Additionally, the chaebols’ aggressive moves toward overseas production and investment utilizing large-scale, short-term loans from the international financial market failed to generate expected profits because the chaebols did not have a unique advantage in the global market beyond their investment capabilities.13 As semiconductor prices plummeted globally beginning in 1996, several chaebols and the Korean economy were hit hard. Despite signs of a coming recession, the chaebols and the Korean government failed to take appropriate measures and some chaebols, including Daewoo, then the second-largest chaebol in South Korea after the Hyundai Group, went bankrupt. When the financial crisis erupted in Southeast Asia in 1997, Korea also faced a crisis and the Korean government had to turn to the IMF for a bailout, as desired by the United States. The Korean government pledged to implement the program of the IMF and received bailouts. The program incorporated the interests of the IMF, the U.S. Treasury Department, Wall Street, and the Korean government’s economic officials.14 The part of the program directly related to the chaebols was created by the economic officials in the Korean state. They generally shared the IMF’s claim that the severity of the Korean crisis was the result of the chaebols’ governance structure and inefficiency, which required correction. 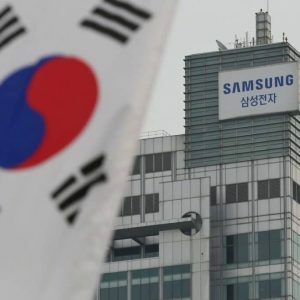 Thus, they ordered the reorganization of the chaebols’ governance structures to make them similar to U.S. corporations—that is, separation between ownership and management, as well as increased shareholder rights. They also instructed the chaebols to reduce debt ratios while allowing layoff and dispatch-work systems that chaebols had long wanted. The chaebols argued that the IMF program had driven them into crisis, and resisted the restructuring. However, most chaebols decided to comply partially with the orders for the time being because, since power was concentrated in the government, they would likely go bankrupt if they did not conform. They quickly reorganized their accumulation strategy by increasing transparency in management, reducing debts and unrelated diversification, while prioritizing cash flow and short-term returns. The chaebols had formerly employed a management strategy of large debt and large investment for a strong push for growth based on owners’ top-down leadership style. However, such a strategy was no longer successful. Chaebols like Daewoo, which insisted on continuing previous practices even after the crisis broke out, ended in bankruptcy. Nevertheless, the chaebols did not completely conform to the IMF program. Over time, they resisted the government’s direction and eventually defeated the plan to reorganize their governance structure. Meanwhile, they began a total offensive against labor. They were finally able to slow down the wage-increase rate; strengthen meritocracy in the wage system, which they had pushed for since 1987; and achieve greater numerical control and flexibilities in employment. Like the previous crisis, the 1997 crisis included a crisis of authority as well as an economic crisis. While the chaebols had systematically implemented a hegemonic strategy since 1987 to gain legitimacy, the 1997 crisis damaged this legitimacy significantly. Many people at home and abroad listed the chaebols as the primary culprit of the crisis, and an unprecedented amount of criticism directed at the chaebols was published between 1998 and 2002. It was the broadly shared negative public opinion that allowed the Blue House, the ruling party, and economic officials to implement a program designed virtually to break up the chaebols. Faced with a crisis of legitimacy, the chaebols quickly proposed an increase in exports and launched the $50 billion Surplus Campaign. The intention was to increase their legitimacy by highlighting export as the solution to the crisis and reminding people of the importance of the chaebols. They thus tried to disseminate a new discourse to dodge the issues of chaebol reform that were unfavorable to them, including their responsibility for the crisis and issues of corporate governance and transparency. In the face of the crisis of authority, the chaebols had to implement a more extensive and intensive strategy of cultural hegemony than before. In 1999, the FKI created the Social Contribution Committee for networking among conglomerates and developed and implemented specialized programs aimed at altering the public relations position of the chaebols. Under the FKI’s leadership, the chaebols were quick to create departments and programs ostensibly dedicated to philanthropic social contributions and started to invest various resources in the effort. In fact, according to a survey by the FKI, the average expenditure of social-contribution activities of 202 Korean companies surged from $1.89 million in 1998 to $4.48 million in 2002. The case of Samsung shows how much attention the chaebols paid to social contribution at the time. In 2000, Samsung increased its social-responsibility contributions, donations, and support for volunteer activities from $41.6 million in 1998 to $138.1 million in 2000.15 In just two years, their budget increased more than three-fold. The FKI also announced the Corporate Ethics Charter in 1999. To avoid growing criticisms of corrupt businessmen and demands for transparency, the chaebols declared they would solve the problems of money in politics and corruption through transparent and ethical management. The PSPD movement was viewed by the chaebols as a significant threat because it raised questions about governance structure, the chaebols’ biggest concern, and drew support from many people, complementing the PSPD’s legal strategy. Hence, the chaebols issued a counteroffensive through organizations operating under the FKI. Criticizing the minority shareholder movement as having a socialist orientation that opposed private ownership and market order, the FKI’s organizations held a weekly rally in protest in front of the PSPD office. The chaebols also created organizations that spoke for their interests in civil society. According to a report of the Munwha Broadcasting Corporation network, a public network in Korea, the FKI had been building ultraright organizations since 2001. These groups organized rallies, filed complaints and accusations, and obstructed and caused serious trouble at events.17 Citizens United for Better Society is representative of the organizations founded with FKI involvement and regularly funded by the FKI. Since its foundation in 2002, Citizens United for Better Society has dismissed as socialist and populist the policies of the administrations that implemented chaebol reforms and has continuously developed arguments in support of chaebols. Social-contribution activities, activism, and building NGOs constituted the chaebols’ new hegemonic strategy, developed while managing the 1997 crisis. In other areas of civil society (such as media, publishing, and education), the chaebols’ strategy assumed more advanced forms. In 1997, the chaebols created the Korea Center for Free Enterprise (KCFE), which advocated for small government, capitalism, and corporations to conduct public-relations, research, and educational activities. The organization highlighted the Economic Freedom Index along with various liberal research organizations around the world, and conducted seminars, symposia, and educational projects to disseminate their ideas. Arguing that an anticorporate sentiment is prevalent in Korea, the FKI implemented ongoing cooperation projects with prominent media figures in an effort to soften such a sentiment. The FKI also actively carried out the Love for Corporation, Love for Country campaign with the Maeil Business Newspaper, the largest financial newspaper in Korea. The chaebols’ hegemonic strategy, which, as we have seen, was significantly enhanced after 1997, has now been upgraded still further. Many right-wing groups are now organizing large movements and propaganda activities with support from the chaebols. Those networking with the chaebols have contended for influence both online and offline, in the areas of media, publishing, and education. The chaebols’ power now reaches virtually every corner of Korean civil society. However, no matter how sophisticated and elaborate the chaebols’ hegemonic strategy is, not all Koreans think that the chaebols’ interests reflect their own. Instead, a significant number of people practice everyday forms of resistance, rejecting the legitimacy claims of the chaebols. There are also many people who raise questions about the chaebols and vote for the politicians and parties that pledge to reform or break them up. The struggle between social forces and the chaebols is still very much ongoing in Korean political and civil society. The case of the chaebols presents several theoretical issues. When we discuss cultural hegemony, we often consider it a macrosocietal concept and assume the government or a ruling class bloc as its subject. However, hegemony can also be seen as a strategy of a type of capital or a specific capitalist group. In addition, the content of the strategy may vary extensively, depending on how civil society is defined in a given setting. Accordingly, discussion on the crisis of capital and crisis management also needs to be expanded to various forms of monopolistic capital. Due to the influential crisis-theory/state-theory literature of the 1970s, when we discuss a crisis of society or the state, we tend to think of accumulation and legitimacy crises together—but we generally refrain from doing this when we discuss capital itself. However, we need to give more consideration to the complex nature of the crisis of capital’s hegemony. The case of the chaebols in the 1980s and ’90s may not be directly applicable to other societies, as it was a product of a distinctive spatiotemporal conjuncture. However, as the case of Korea shows, it is important to learn what happens when a government is unable to impose discipline on capital in an ostensibly democratic society, and how concentrated corporations themselves seek to achieve hegemony in civil society as a means of maintaining their power vis-à-vis the state and society as a whole. ↩Unless otherwise indicated, references to Korea in this article refer to the Republic of Korea/South Korea. ↩Antonio Gramsci, Selections from the Prison Notebooks , trans. and ed. Quintin Hoare and Geoffrey Nowell-Smith (London: Lawrence & Wishart, 1971), 275–76. ↩Gramsci, Selections from the Prison Notebooks , 276. ↩Gramsci, Selections from the Prison Notebooks , 275–76. ↩G. W. F. Hegel, The Philosophy of Right (Oxford: Oxford University Press, 1952). ↩Robert Castley, Korea’s Economic Miracle: The Crucial Role of Japan (New York: St. Martin’s, 1997); Paul Burkett and Martin Hart-Landsberg, Development, Crisis and Class Struggle: Learning from Japan and East Asia (New York: MacMillan, 2000). ↩Hyung-Joon Park, Chaebol, The Transnational Capital that Dominates Korea (Seoul: Chek Sae Sang, 2013), 315. ↩Federation of Korean Industries (FKI), 50 Years History of FKI (Seoul: FKI Media, 2011), 438–39. ↩Deok-Ryul Hong, “FKI, Spokesman of the Chaebol Hegemony,” Journal of Korean Social Trends and Perspectives 35 (1997): 27–28. ↩FKI, 50 Years History of FKI , 443. ↩FKI, 50 Years History of FKI , 440. ↩FKI, 50 Years History of FKI , 446. ↩Won-Keun Song and Lee Sang-Ho, The Business Structure of Korean Chaebols and Concentration of Economic Power (Paju: Nanam, 2005), 51. ↩Joo-Hyung Ji, The Origins and Formation of Neoliberalism in Korea (Seoul: Chek Sae Sang, 2011), 248–50. ↩Samsung, Samsung Community Relations White Book 2000 (Seoul: Samsung, 2000). ↩People’s Solidarity for Participatory Democracy (PSPD), Ten Years Record of PSPD, 1994–2004 (Seoul: PSPD, 2004). ↩Munwha Broadcasting Corporation Straight, June 5, 2018. ↩FKI, 50 Years History of FKI , 604–6, 659, 712–14. ↩Kyung-Dong Han, “After-School Education Programs in Korea”, Research in Education of Economics 13 (2006): 181–203.